Property tax notices are mailed annually from this office the last business day in August. The bill shows the amount due, when the tax is due and payable and how your tax dollar will be distributed to the taxing entities. 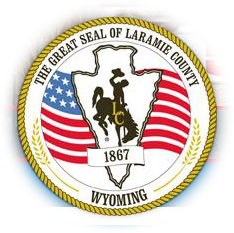 Wyoming Statute 39-13-103 (b)(i)(A) provides "All taxable property shall be annually listed, valued and assessed for taxation in the county in which located and in the name of the owner of the property on January 1." If you purchased the property or recorded the deed after January 1, you will not receive the tax notice in your name. A taxpayer is responsible for payment of taxes regardless of billing. In other words, if you do not receive a bill for any reason, taxes are still due and if paid late, interest will be collected. Tip: If you do not receive your tax bill by the second week of September, contact the treasurer's office to request a copy. Fifty percent of the tax is due September 1 and payable on November 10 of the current year. The remaining 50 percent is due March 1 and payable on May 10 of the following year. Any taxes not paid on the payable date are delinquent the day after that date and are subject to interest at 18% per annum. Interest on the first half is forgiven if the taxpayer elects to pay the entire tax by December 31. Many taxpayers have an escrow account from which their taxes are paid. However, as a courtesy this office dedicates considerable time working with mortgage companies so they have all the necessary information to make payment. A taxpayer is always sent a tax notice regardless of an escrow. If a mortgage company and a taxpayer both remit payment for taxes, the Treasurer will accept the first payment received and return the duplicate payment. The treasurer does not accept duplicate payments. All real property taxes due represent a lien against the taxpayer. The county holds the lien. When taxes remain unpaid on May 11, the treasurer must certify a list of delinquent taxes and taxpayers, followed by a demand for payment of these taxes plus interest of 18% per annum. The delinquent notice (demand for payment) is mailed from this office approximately five business days after the 11th of May. The delinquent notice is sent to the same property owner as reflected on the original tax notice. The notice informs the taxpayer of the delinquency and if unpaid will be published three times and the lien subsequently sold at the tax sale. The notice contains the publication dates and the tax sale date.